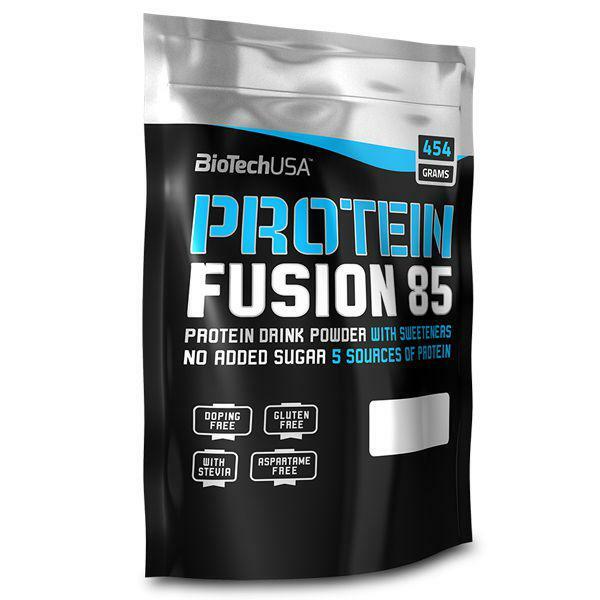 Protein Fusion 85 is a high-protein, gluten-free product that contains various proteins–whey protein concentrate (WPC), whey protein isolate (WPI), milk protein isolate, casein protein and egg protein–the combination of which provides maximum supply for your muscle. Protein Fusion 85 absorbs moderately fast, which makes it an ideal choice for either slower or faster metabolism. 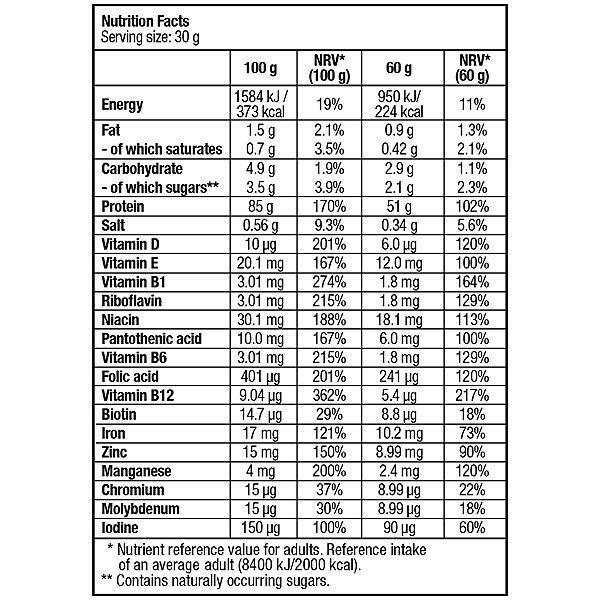 It contains added lactase enzymes and protein-digesting enzymes. Derived from pineapple and operating in the pH range of 4–8, bromelain enzyme contributes to breaking down proteins and protecting your stomach. In order to make this complex protein powder even more versatile, the product is enriched with vitamins, minerals and extra amino acids to reduce muscle soreness, thus contributing to faster recovery. The protective nutrients, that is, vitamins and trace elements, contribute to normal bodily functions in a number of areas. The product’s folate (folic acid) content contributes to normal amino acid synthesis. Vitamins B6, B12 and D, as well as zinc and iron, added to the protein, contribute to the normal functioning of the immune system. Vitamins B6 and B12, as well as iodine contribute to the normal functioning of the nervous system. Vitamin D, zinc and manganese contribute to maintaining healthy and normal bones. If you’re a complex personality and expect the same from your protein supplement, Protein Fusion 85 is your perfect choice. Mix 1 serving (30 g, 1 measuring spoon = 2 tablespoons) with 250 ml water and drink twice a day.